Expats make an important contribution to the Dutch economy and are much less likely to profit from rebates or use public services. So instead of abolishing the 30% ruling, the government should think of more ways to attract highly-trained internationals, say Robert van der Jagt (partner at Meijburg & Co) and Aart Nolten (partner at Deloitte). The most important part of the 30% ruling is an effective reduction of the top income tax tariff of 52% to 36.4% (70% of 52%) which the Netherlands, unlike in other countries vying for international top talent, starts at €67,000. 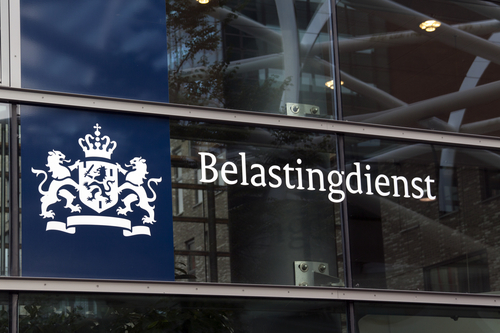 The ruling makes sure that the Netherlands is an attractive option for knowledge workers. Apart from Germany, most other European countries have similar rulings. In practice, expats who fall under the 30% ruling are limited as to the extent to which they can apply for tax breaks, such as mortgage tax relief. Expats are less likely to buy a home here, while saving accounts are not advantageous from a tax point of view and donations made in the country of origin are not deductible in the Netherlands. The ruling is being evaluated by parliament at the moment and it would be advisable for the junior minister to keep this in mind when weighing the pros and cons of the ruling. The second point is that expats are much less likely to use public services. Education and health care for the elderly are among the government’s most expensive outgoings. A student doing a four-year course at the university will cost the treasury some €73,000. The children of expats, however, almost all elect to go to university in their country of origin while children of primary school age usually go to private international schools, which are not financed by the public purse. And as far as health care costs are concerned: these build up mainly in the final phase of life and expats leave this country long before that time comes. But expats do pay income tax, BTW, car tax etc. This makes them attractive net taxpayers. They pay out more than they receive in the shape of public services. A group that boosts public service spending, what’s not to like? If anything we need more of them in the Netherlands, especially if the spiralling costs of an ageing population are taken into account. The evaluation report on the 30% ruling by Dialogic, which was sent to parliament by the junior minister on June 13, makes a clear case for the ruling as an effective policy instrument which probably brings in more money than its costs. What is more, this country’s excellent education and care sectors are among the ten sectors with the highest incidence of people entitled to use the 30% ruling. It is also important to maintain the ruling for higher incomes. Many countries are advocating measures to limit international tax planning, especially by multinationals. An important part of these new measures is to tighten the rules around raising tax in the country where value is created. This forces multinationals to reconsider their options and determine which country has the greatest number of high earners. These rules will increasingly determine in which countries profits are taxed. The highest earning workers at a multinational often choose which country they wish to locate to. A practical consequence of this is that once a number of key workers live and work in the Netherlands, employment is generated here because their presence will attract middle management workers. In short, the Netherlands is well served by a good climate for expats and a policy that stimulates the influx of highly-trained internationals. It helps combat the rising costs of an ageing population, improves the quality of education and creates extra employment as well as net tax revenue.